DRIPPING SPRINGS, Texas — Yours truly’s string of consecutive blogging days came dangerously close to ending this week. How could that happen? Here’s how: We hauled our fifth wheel recreational vehicle to Pedernales Falls State Park, set up our campsite and then discovered that our site had zero Internet accessibility and damn near no cell phone service. Is that a bad thing? Not at all. Except that I want to keep the streak alive. It has survived. Here, though, is the quandary. Pedernales Falls is near Austin, which I’ve always been led to believe is one of the most “connected” communities on Earth. Hey, it’s the hub of what they call the Silicon Gulch, that stretch of real estate between Austin and San Antonio. High-tech firms continue to sprout all over the region. I didn’t anticipate being disconnected from rest of the planet, being that we are vacationing in this highly connected, 21st-century community. There might come a day when I no longer want to keep this blogging streak alive. I have occasionally enjoyed being disconnected from the Cell Phone Universe. The good news, though — if you want to call it that — is that we are to travel to my brother-in-law’s house in this suburban Austin community. It is from here that I am able to post these musings. And so, the streak goes on. Our travels will take us very soon to Sea Rim State Park in the Golden Triangle region of Southeast Texas. Let us hope — or let me hope — that we have Internet available there to keep this blogging streak on course. Time for a quick update. Here goes . . . This blog is on an 893-consecutive-day streak. I have posted items on High Plains Blogger for those many days in a row. I have no intention of letting up. I want to share (boast, if you don’t) some news with you. March was the second-best month recorded by this blog in terms of page views and unique visitors. I am proud to make that announcement. The second-best month followed by the best month ever by just two months. High Plains Blogger posted its most productive month in January. Those two record-setting months have set me up for another record year of page views and visitors. I intend to seek to keep the heat burning. I have discovered a pattern as it regards these best-ever blog performances. They usually include some comment on local matters. The January and March figures were driven by some posts I published concerning the resignation of an Amarillo High School volleyball coach. There is intense interest in Amarillo in what prompted Kori Clements to quit the AHS post after a single season. Her resignation letter was one of the more, um, declarative such statements I’ve ever seen. She blamed the school board and the administration for failing to back her as she fended off complaints from a parent who griped at her over playing time given to the parent’s daughter. There will be more to come as developments warrant. I also intend to keep the heat on Donald Trump and those who serve in the president’s administration. I want to emphasize what I believe is a critical point as I continue to comment: The president and his administration work for us, for you and me. The individuals who report to the president are not paid by him; they are not answerable ultimately to him. We are the bosses. They all are our employees. So, I’m heading for a 900-consecutive-day streak. I want you to stay with me. 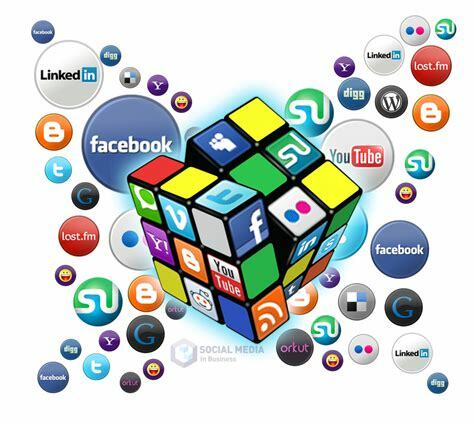 I also ask you to share these musings with those with whom you share social media networks. There. Boasting is over. Until the next time. AHS volleyballAmarillo ISDHigh Plains BloggerKori Clements. My new gig as a blogger for a public radio station has set me on a course to learn more intimately about Collin County and much of the rest of North Texas, where my wife and I now call home. KETR-FM, based at Texas A&M University-Commerce, has given me a chance to write for its website. I’ve submitted three posts already. More will be on the way. The next one is going to bring a challenge or two. Mark Haslett, news director at KETR-FM, has given me an idea to examine. It’ll be about traffic, road construction and what in the world is happening along U.S. 380, the highway that cuts through several North Texas counties. Indeed, it runs about a half-mile north of where my wife and I live. The highway is undergoing major work at this moment, and likely for past the foreseeable future. The North Central Texas Council of Governments is the lead public agency with responsibility for all that road work. I’ve put in a phone call. I am awaiting a call back from NCTCOG’s media relations fellow. I am confident it will come soon. Why is this a big deal? I’ve written before how much I learned about all the communities where I lived and work. Whether it was in Clackamas County, Ore., or in the Golden Triangle of Texas or in the Texas Panhandle, I took away a good bit of local knowledge from each place. I now intend to launch my learning curve in North Texas. My new “career” as a blogger continues to bring rewards. They’re difficult to quantify. The knowledge I will gain about my new home still will be of considerable value. High Plains Blogger uses several social media platforms to publicize its musings, missives, essays . . . whatever. Facebook is one of them. At the moment, your friendly blogger — me! — is experiencing difficulty with Facebook. I have notified the gurus at Facebook trying as best I can to explain the issue. I keep getting messages that say they’re working on the problem. I’ll continue to post items on High Plains Blogger, but will depend on Twitter as my primary publicizing platform. Bear with me. And with Facebook. Not much to say with this post, except that I want to boast briefly. Today marks the 865th consecutive day I have written posts for High Plains Blogger. That exceeds two straight years — and then some! I just want to let you know that I plan to continue offering commentary on politics, public policy and what I call “life experience” for as long as I am able to string sentences together. You always are welcome to read it. Whether you agree with my musings is, well, up to you. I won’t apologize for my own bias. Nor will I ask you to apologize for yours. I am enjoying the ride so far. I hope you are, too. Let’s hold on with both hands. My wife and I are settled nicely now in Collin County, Texas. We are purchasing a new home and our beloved puppy, Toby, is running himself ragged in his new back yard. But the blog keeps gravitating back to the community we left after living there for 23 years. Amarillo, Texas, is the place we called “home” for the longest stretch of our married life together. Indeed, we spent roughly half of our life there. I had a great job, and my wife also found solid gainful employment during our years there. It is hard for me to give up on commenting on issues that still matter to me. Downtown Amarillo’s rebirth still has my attention. So does the incessant street and highway construction. The same can be said of the local political leadership comprising individuals I got to know quite well during my time as a journalist. With that, I guess I will declare that High Plains Blogger will continue to comment on Amarillo and the rest of the Texas Panhandle. I feel I developed sufficient familiarity with the issues that are driving Amarillo to enable me to keep abreast of what is happening there even as we pursue our retired life together in Princeton. We surely intend to continue focusing our attention on our granddaughter, who — after all — is the reason we uprooted ourselves from our Amarillo home and relocated to the Metroplex. Nor will I fail to take note of the places we intend to visit as we continue our travels throughout North America. It’s a huge world out there and I want to share what we find along our journey. Still, I keep hearing the call to comment on a community I got to know pretty well. So, I will answer that call when it moves me. My life as a full-time blogger has been on a mostly uphill trajectory. Indeed, I am enjoying this gig almost as much as I enjoyed writing for newspapers — and got paid for it! There is one aspect of blogging, though, that continues to stick in my craw. Don’t misunderstand me: I am not choking on it; it’s just a tad annoying. You know the type of individual who cannot give you credit for anything? These are the folks you know who are quick to criticize but who just cannot find it within them to say a good word when you say or do something with which they agree. Among the folks who read this blog I am blessed with a few of those types of critics. I’ll call ’em “soreheads,” because I cannot think of a more apt term to describe them. Yeah, this is a mostly political blog. I wear my bias on my sleeves, on my chest, pasted to my forehead . . . you name the place, it’s there. I won’t apologize for it. My bias is who I am. It’s what I believe. It is where I’ll stand. But the blog also deals with what I like to call “life experience,” which by definition is about as broad a topic as you can find. I like writing about family, my pet(s), places I’ve seen, people I’ve met, things I’ve done. Those posts draw occasional comment from readers. They aren’t always fawning praise. Readers might see something in these posts that trigger a unique thought, which they’ll share. Do any of the soreheads respond to those posts? Not on your life! They prefer to wait for the next tart comment I’ll put out there that looks critically at — oh, let’s see — the president of the United States. That’s when they pounce. Sometimes they pounce hard. Am I tempted to block them? No. I’m not. I want their comments out there. Sometimes they provoke debate among other readers of that post. They occasionally get entangled with other High Plains Blogger readers. I usually resist weighing in on those exchanges. Instead, I have what only can be described as an out-of-body experience. It’s kinda fun, if you want to know the truth. None of this is intended to cry on anyone’s shoulder. I’m an old man these days. I’ve had my share of beefs and arguments with those who disagree with me. I once had a Texas judge threaten to sue me over some commentary I wrote about what I perceived to be a conflict of interest that involved the judge. 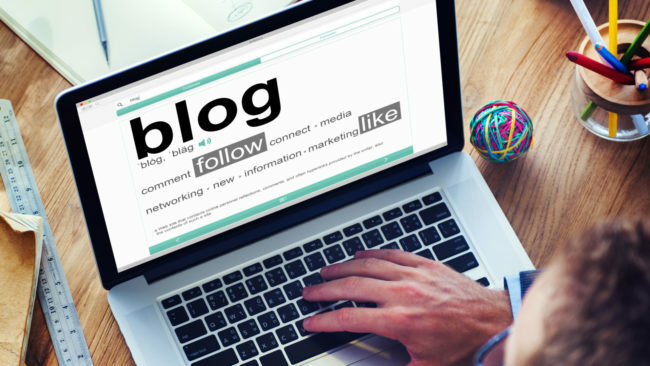 I just want to re-state for the umpteenth time that blogging is a gas. I am having the time of my life . . . even with the soreheads looking over my shoulder. I have written on this blog and in other forums about the need to read and listen to opinions that differ from our own. I’ll stand by that belief for as long as I write this blog. That said, I got a scolding overnight from a (former) reader of High Plains Blogger. He didn’t like a post I published that stood up for House Speaker Nancy Pelosi in her ongoing battle with Donald Trump over funding for The Wall and, well, other matters. My critic said he once thought I harbored some “common sense.” Now he is convinced I have none. He’s done reading the “crap” I post on the blog. Dang it! That means he won’t read this item. Supposedly. That’s if he can resist the temptation to get his dander up all over again. I’ll assume he means what he said. Here’s my point . . . I welcome criticism of this blog. I make no apologies for my own political bias. You know where I stand regarding the president of the United States; you understand my partisan leaning; I make my political orientation clear. Yes, I do read the opinions of other bloggers and commentators. Some of my favorite opinion writers happen to be folks with whom I have strong disagreements. They include folks such as Jonah Goldberg, Peggy Noonan, William Kristol, the late Charles Krauthammer. I admire those who can express themselves as brilliantly as they do. I do not begin to pretend I am in their league. I am just a schmuck blogger who fires off these posts when the spirit moves me. Since I am retired these days, I have plenty of time to devote to this blog. Which I do. The world would be pretty damn boring if all we read were thoughts and beliefs that agreed with our own. Don’t you think? I’ll keep on keepin’ on with this blog. I might lose some more readers along the way. Or . . . I might gain a few, too. It’s all part of the process of learning about this great big world of ours and about this wonderful country that enables us to speak our minds, even when it angers others. Time for a bit of braggin’, if you don’t mind. High Plains Blogger has just recorded a record month of page views and unique visitors — and we still have another week to go! This blog was able to set a record for “hits” in 2018 on the strength of an extraordinary month. In February, the blog smashed through the ceiling by recording its greatest — by far! — single day of page views and visitors. We started 2019 with another smashing month. January will give way to February in week, but already High Plains Blogger has registered its best-ever monthly performance. What drove this latest record? Unquestionably it was the resignation of Kori Clements from her post as head girls volleyball coach at Amarillo High School in Texas. I commented on it over the course of about four days. Traffic zoomed! I guess that speaks to the depth of feeling that the Amarillo athletic community feels about itself and about the principals who give it a special standing. On the strength of this tremendous month of traffic, I am now on track to set another record by year’s end. Sure, I’ve got to keep the momentum going. I’ll do my best. Hey, we still have a federal government that will give High Plains Blogger plenty of grist to throw out there for discussion. Amarillo High SchoolAmarillo HS volleyballbloggingHigh Plains BloggerKori Clements. 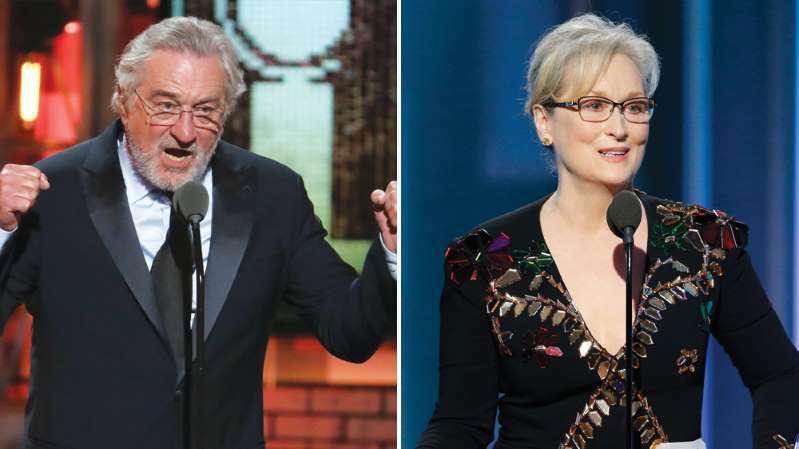 Should awards shows become political events? Variety magazine poses a question that is giving me fits, but I have reached a conclusion. It asks whether televised awards shows that honor entertainers should become a forum for honorees to spout their political views. The Emmys, Screen Actors Guild and Golden Globes ceremonies have been most memorable for the political speeches that actors and others in the entertainment industry deliver while accepting their trophies. Are their opinions of some value? Sure they are. Are these ceremonies the place for them to make those views known to the entire world? I don’t believe so. I have long believed in the “There’s a time and place for everything” theory. I have this admittedly old-fashioned view that awards ceremonies are intended solely to honor those who get paid lots of money to, um, entertain us. That is why I watch them — on the rare occasion that I do. Free speech is great, however . . .
You may spare me the rebuttal about “freedom of speech,” and “First Amendment guarantees” and this being a “free country.” Believe me, I get all of that. I understand the argument in favor of those who want entertainers to deliver us their political views on the issues of the day. I also am acutely aware of the entertainment industry’s left-leaning bias. These folks, to be candid, are preaching to the choir if they are talking to me. I share their bias. Thus, I don’t need to hear points of view that merely affirm what I already believe. All I want from entertainers is for them to perform up to the standards we all expect of them. Whether they think badly of the president of the United States or of certain members of Congress or of governors of certain states is irrelevant. Good grief! We’re inundated with opinion 24/7 on cable TV shows, in various publications, and in blogs — such as this one. Entertainment awards ceremonies need not be a forum to feed me more of the same.